You’ve invested time and energy into writing your book and you want it to be perfect. At Letcetera Publishing, we understand your needs and we understand your audience. We have a proven track record in brand and marketing strategies aimed at specific target markets. Whether it be an academic effort or a children’s book … we know how to design for the right audience. You have heard people say that “You can’t judge a book by its cover,” but I am here to tell you that it is exactly how your book will be judged! 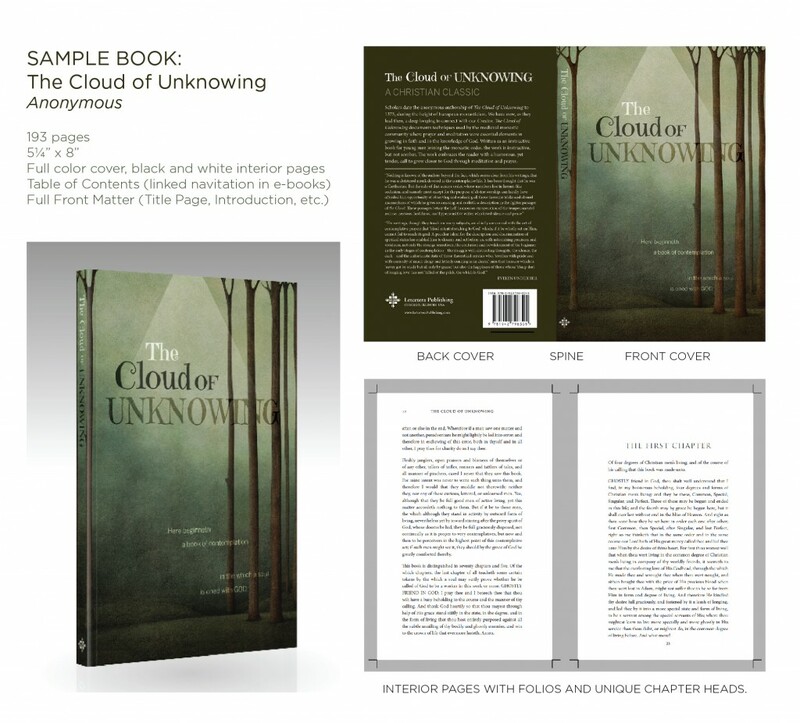 However, it is not only your cover design that will be put to the test, readers also want the interiors of their books to be clear, easy to read and easy to navigate. We see the launch of a new book as a comprehensive endeavor and encourage you to purchase our full-service option for the launch (or re-launch) of your book. Our one-on-one author support* will give you direct telephone access to the graphic designer. For books with up to 275 printed pages (see our samples). For books with 275-800 printed pages: $1.25 additional for each page above 275. Call 708.790.2140 for books with 800+ pages. Photo books, Comic Books or anything with more than one illustration per chapter, must be quoted separately. Please call 708.790.2140 for pricing. ISBN – use your own number, or use one of ours. Ebook prepared in formats for Kindle, Itunes, Google Play, Kobo, and Nook. Option to sell book in Epiphany bookstore (if your book meets our bookstore guidelines). Includes layout, navigation and preparation in various formats. *maximum accumulated telephone time of 1 hour. Prices are subject to change. Please use the contact form on the “contact us” page and someone will respond within 24 hours.